Chris Crenshaw is Vice President of Digital Data Solution for STR (STR, Inc.). STR provides clients from multiple market sectors with premium, global data benchmarking, analytics and marketplace insights. 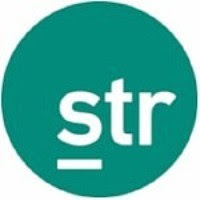 Founded in 1985, STR maintains a presence in 14 countries with a corporate North American headquarters in Hendersonville, Tennessee, and an international headquarters in London, England. In his role, Mr. Crenshaw is responsible for new product development and strategic integration for STR. He brings a wealth of knowledge to the table with over fifteen years of Revenue Management related hospitality experience. Prior to joining STR, Mr. Crenshaw served as Vice President of Market Intelligence for Loews Hotels and held several senior Revenue Management positions with Marriott International. He received his bachelor’s degree in Hospitality Management from Florida International University and an associate degree from the Culinary Institute of America. Mr. Crenshaw has received numerous awards and accolades from Loews and Marriott and most recently was named 2010 Revenue Management Professional of the Year for South Florida by HSMAI. He is a Certified Revenue Management Executive (CRME) and Certified Scrum Product Owner (CSPO).